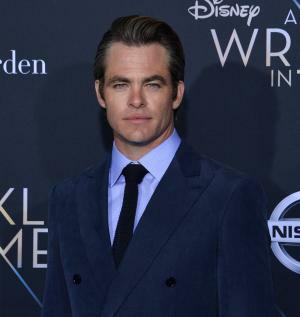 April 5 (UPI) — Chris Pine appears to have a new woman in his life. The 37-year-old American actor sparked dating rumors with Annabelle Wallis this week after he was spotted with the 33-year-old British actress in London. Pine and Wallis were seen together at Heathrow Airport, according to E! News. The actor, who wore a baseball cap and sunglasses, was reportedly trying to keep a low profile. Us Weekly reported Wednesday that Pine and Wallis are dating. “Annabelle is totally Chris’ type,” the insider added, noting the pair have vacationed together in Hawaii. Wallis split from singer Chris Martin in the fall after reuniting with the Coldplay frontman in August. She said in an interview with the Sydney Morning Herald in June that she prefers to keep her personal life private. “I love the person I love, but it means so much to me that I like to keep it safe,” the star explained. “I have nothing to hide. It’s just that when you have people in your life that you care about, you get very protective of them, and it’s not about you any more,” she said. Pine is known for playing James T. Kirk in the Star Trek reboot movies, and will next reprise the role in an untitled sequel. Wallis portrayed Grace Burgess on Peaky Blinders and Jenny Halsey in the new Mummy movie.